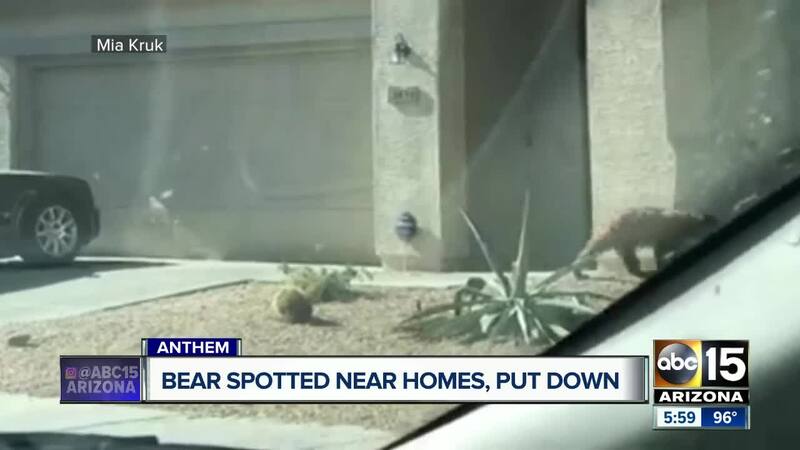 A young male bear spotted in Anthem Monday was put down after it had recently been seen in a residential area. 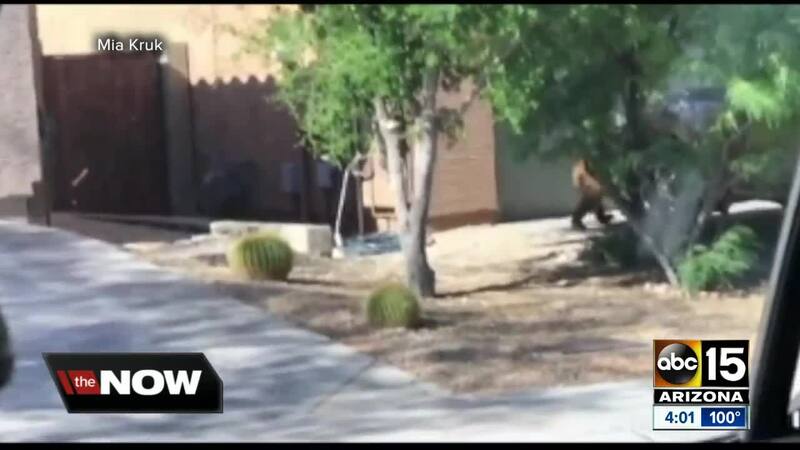 In a video shared with ABC15, the bear is seen walking through driveways. You can watch the video provided by viewer Mia Kruk in the player above. This is the second time a bear has been caught on video in just over a week. 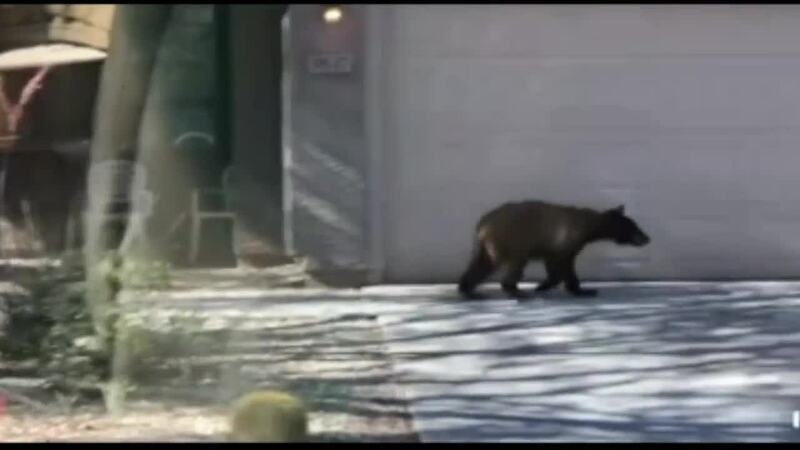 Recently, a bear was spotted by a viewer walking through a Mesa neighborhood. The viewer that captured video Monday of the bear in Anthem says at first she thought it was just a stray dog. A representative for the Arizona Game and Fish Department says the bear was located and tranquilized near Interstate 17 and Anthem Way shortly after it was reported in the area. Officials say the bear was last seen 10 days ago near Prescott. At the time, the bear was tranquilized, tagged, and released in a remote part of Arizona. 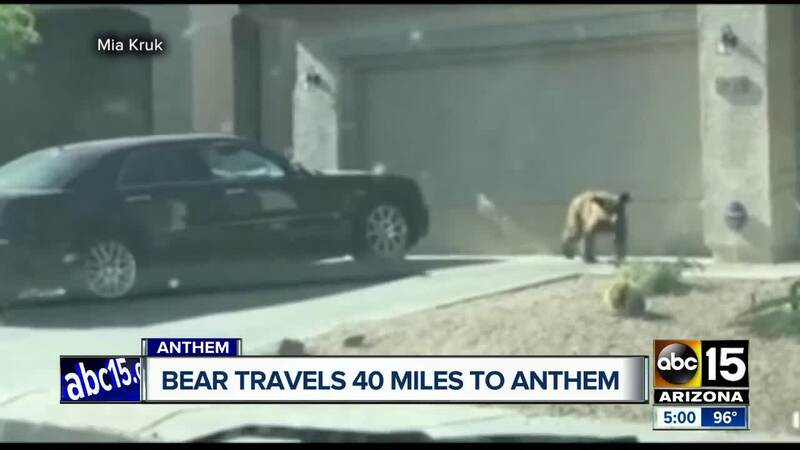 It's believed the bear traveled more than 40 miles from that location to Anthem. Since the bear was in two residential areas in a short period of time, the bear was put down, officials say. "Euthanizing an animal is the last thing the department wants to do, but in this case the fact the bear had been ear-tagged, relocated, and once again ended up in an area of human development (abnormal behavior for a bear) indicated it was habituated and a potential threat to people," Game and Fish said in a news release. The department is asking the public to report any "nuisance bear" activity to their website or local law enforcement. 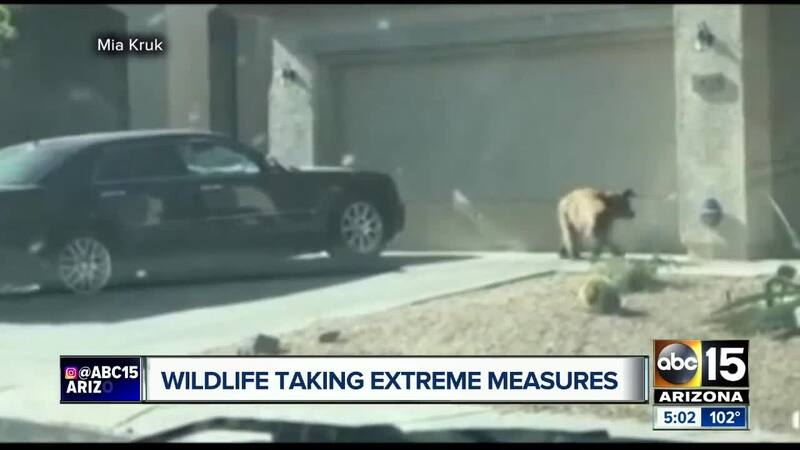 After the Mesa bear sighting, AZGFD said they expect more bear sightings due to the dryness and heat forcing them to go on the move to look for food and water.